sunshine blog » What’s new in the Canary Islands? 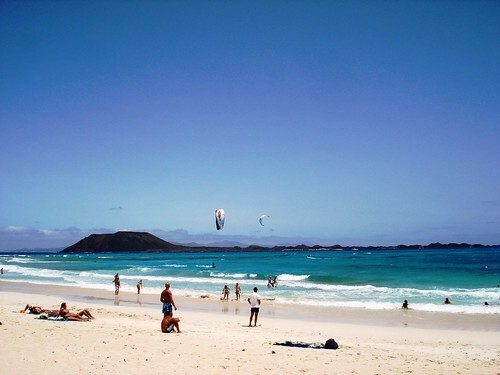 In the sub-tropical Canaries the winter temperature averages a bone-warming 21C (70F) and long stretches of dark and golden sand beaches are dotted with holidaymakers who’ve turned their backs on the winter blues. There are seven Canary Islands in total, set in the Atlantic Ocean off the coast of northwest Africa. Each one has a unique character and a few surprises in store for first-time visitors. 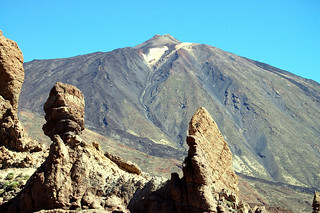 Mount Teide on Tenerife, for example, is the third largest volcano in the world, and the island’s southeast coast is a renowned whale watching destination. Lanzarote, meanwhile, is so puckered with craters that it is known as ‘the island of 100 volcanoes’. El Hierro, the smallest Canary Island, has rewarding scuba diving sites, while Fuerteventura – famous for the oomph of its offshore wind – attracts elite wind- and kite-surfers. With such a wide range of resorts and attractions, there’s always something new or interesting to catch visitors’ attention. So for starters, here’s some news from Tenerife and Lanzarote. Loro Parque (a zoo and aqua park) is one of Tenerife’s most popular attractions and it has enjoyed a bit of a baby boom over the last few months. New arrivals at the park include a male Orca calf and twin Two-toed Sloths, all born in October 2010. Then Jaguar twins – one black, one spotted – stole the show when they were born in mid-November. 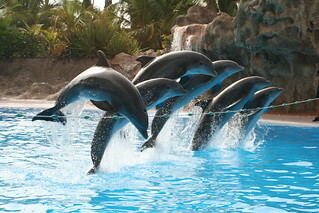 Loro Parque is located in Puerto de la Cruz in northern Tenerife and is open 365 days per year. 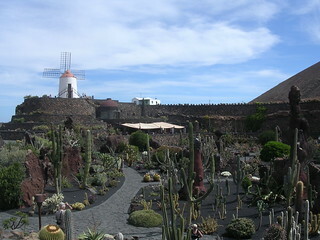 Locally-born artist and architect César Manrique opened his spectacular Cactus Garden to the public in 1990. What began as his vision to reinvent a desolate quarry into an artistic botanical plantation has grown over the last twenty years into one of Lanzarote’s best-loved sights. The 10,000 cacti on display have also grown outwards and upwards over the last twenty years: some of them towering over visitors while others are squat fluffy balls of hair. You’ll find the Jardin de Cactus between the villages of Guatiza and Mala, roughly fifteen minutes away from Costa Teguise. For two weeks of the year around Easter time, a flamboyant fiesta fills Arrecife’s streets with live music, dance troupes, processions, floats, fireworks and fun. Thousands of islanders and visitors gather in Arrecife for the colourful parades and street parties which reach a surreal climax with the ‘Burial of the Sardine’ on the final day. The dates of the 2011 carnival have now been confirmed as Friday 25 February until Wednesday 9 March, and the theme will be…Opera.